This month we’ve been seeding veggies and watching tiny plants pop up through the soil. It’s hard to believe that these little guys will feed both our CSA and market customers, but if we do it right they’ll feed us too! Baby Kale about 5 days old. That same Baby Kale now 15 days old. Baby Eggplant! 7 days old. Baby Chard 5 days old. 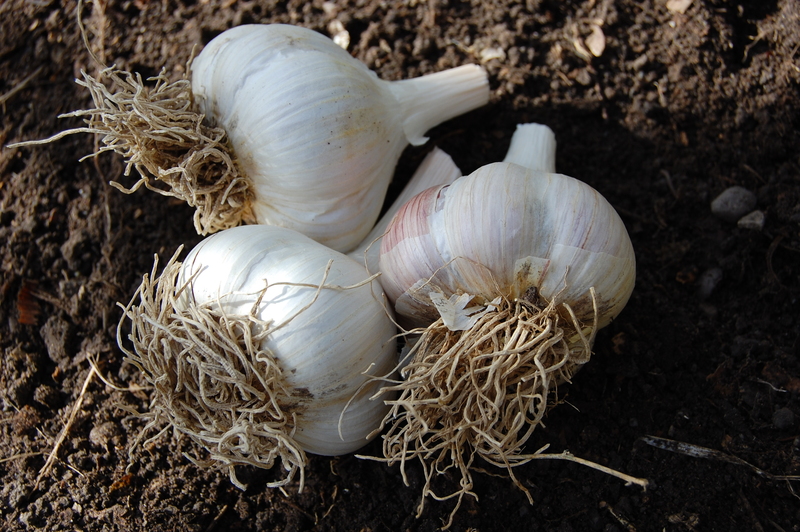 You may remember our post about planting Garlic way back in October. What started as an ordinary clove has now grown into a 5 in stalk. 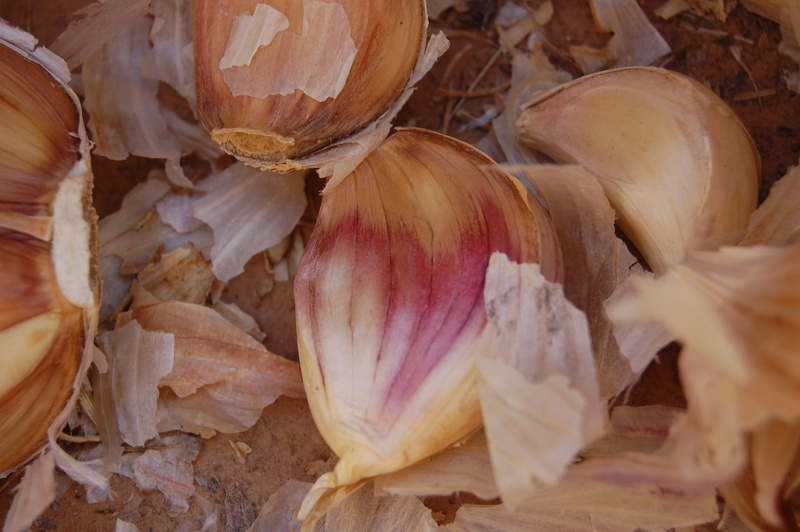 Some of the garlic we planted is hard-neck Spanish Red, known for strong flavor and large cloves. Some of the garlic is Russian Red, a soft-neck variety brought to our farm from the Ukraine many years ago. Soft-neck varieties are known for being easy to peel and for storage length. All told, there are about 500 of these little guys are growing strong right next to the barn. I thought we lost an entire row due to the construction of our new greenhouse, but Margaret reminded me that we only planted three rows… not four. Fall is time for raking it in. For converting mountains of apples into cider, and piles of tomatoes into sauce. For squirreling away the excesses of summer for cold winter nights. But ironically as a farmer and gardener its also time to think about spring. Today Tracy and I drove up to Dixon (still living in town working our day jobs, unfortunately) and put in 80 bed feet of cloves, root plate down, shoot up. About four-hundred and eighty heads of it! The first 25 feet was Russian Red, with a pearly pink skin and small to medium cloves. This soft-neck variety will be perfect for storing and braiding. The second 55 feet of bed were taken up with Spanish Red hardneck, cloves more elephantine in size. We only planted the largest cloves, making sure not to peel back any of their protective skin. And if you like to get technical they were in three rows, twelve inches apart, and six inches between cloves in-row. We’ll mulch with straw before the first hard freeze and hope for the best. Next June we’ll pull out forty heads for green garlic for our CSA members, and then about three weeks later we’ll cut the curling scapes off the hardneck, fry them up, and eat them! And when the plants start to yellow and brown in July we’ll pull them up and hang them in the barn where they will cure. They’ll be ready for eating or in some cases planting again for the next year’s crop. And so after one exciting tractor ride (I drove for the first time!) and about thirty minutes of kneeling in the dirt Tracy and I had successfully planted County Rail’s first crop!